COULEUR FOLLE MINERAL LOOSE POWDER EYE SHADOWS, 2 glosses, one Ltd. one from the regular line. 2 lipsticks, 1 Ltd. one from the regular line. 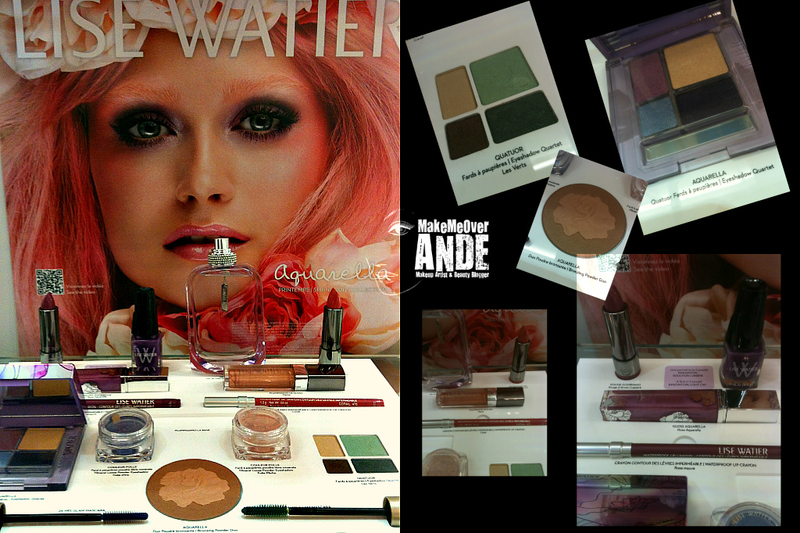 One beautiful purple nail lacquer, a bronzer and 2 colored mascaras from the core line. They are also featuring the DÉSIRABLE EAU DE PARFUM SPRAY. The Lise Watier Aquarella spring collection 2012 is available now at Shoppers Drug Mart.